This is one of two paints specifically designed for ground operations in a mid latitude climate. 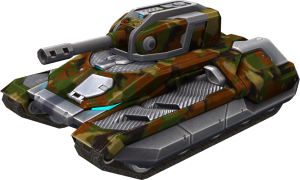 According to reports from the independent organization "True Camouflage", a tank wearing this particular combination of yellow, green and brown, is less likely to be detected in such regions. This page was last modified on 19 September 2018, at 16:01. This page has been accessed 9,150 times.